Much to the dismay of the environment and despite global renewable energy efforts, coal is set to overtake oil as the world's main source of energy by 2020, according to a recent report. Energy consultancy firm Wood Mackenzie says global government policies to reduce carbon emissions will not prevent a hydrocarbon world as coal will surpass oil as the dominant fuel by the end of this decade. Analysts forecast a 25% rise in global coal consumption by the end of the decade to 4,500 million tons of oil equivalent, overtaking oil at 4,400 million tons. “China and India's aggressive power requirements will be responsible for coal's burgeoning role in energy but US, Europe and Asia will still contribute to coal demand…we expects existing carbon policies to have a muted impact. Instead, the pace of coal demand will be influenced more by local governments of emerging markets needing to balance economic growth, energy demand and environmental needs,” the study says. This is all based on a key assumption concerning China: that the mainland's coal-fired power generation will satisfy almost half of power demand growth between 2012 and 2020, which is estimated to average 7% annually during that period. Historical trending would seem to support this forecast. After all, China’s annual consumption exceeded 1 billion tons per year in late 1980s and now is at about 4 billion tons, while the country gets about 70% of its energy from the fossil fuel, and hopes to reduce that to 65% by 2017. According to Wood Mackenzie, it is likely that China will drive two-thirds of the forecast growth in coal demand—especially since half of the power plants expected to built in the country between now and the end of the decade will be coal-fired. The simple fact is that for now China has no alternative to coal. Its domestic gas output limited and liquefied natural gas (LNG) imports cost more than coal. That, too, however, could change as more LNG exports come online to put downward pressure on prices. 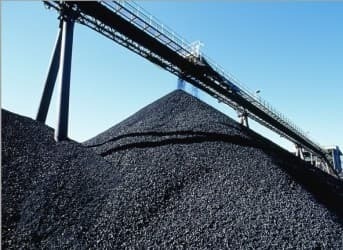 Independently, according to the latest report by the International Energy Agency (IEA), coal will be the main winner in Southeast Asia’s energy mix. It would contribute to a doubling of the region’s energy-related carbon dioxide emissions to 2.3 gigatons by 2035. The IEA’s report projects the region’s energy demand to increase by more than 80% in the period to 2035, a rise equivalent to current demand in Japan. Currently the region’s per-capita energy use is still very low, in part because 134 million people, or over one-fifth of the population, lack access to electricity.